NORTH ROBINSON — The Colonel Crawford Eagles baseball squad returned to their home diamond on Monday to wrap their season series with Northern-10 Athletic Conference foes, the Mohawk Warriors. After falling 1-0 on Friday in 11 innings, Crawford needed just the standard seven to upend Mohawk on Monday; 9-0. With the victory, the Eagles move back to .500 both overall (4-4) and within the conference (3-3). Both teams entered the second with no runs on the scoreboard but Crawford would post one in the bottom of the frame. In the third, the home team plated four runs to extend their lead to 5-0. The Eagles would go on to score one in the fifth and three additional runs in the sixth to bring the contest to its eventual final score of 9-0. Gavin Feichtner pitched a gem on the afternoon, going the distance while allowing just one hit while walking three and striking out eight batters. At the dish, Feichtner helped his cause with a pair of singles, two runs batted in and a couple of runs scored. Colonel Crawford scored their nine runs on 11 hits, all singles, while stranding nine runners on. In the field, the Eagles committed just one error to the Warriors three. Mohawk stranded all four of their baserunners on the day. Other offensive stats for the home team were: Cade Hamilton- 1B, 2R; Ethan Sutter- 1B, R; Drayton Burkhart- 1B, R; Daylen Balliet- 1B, R; Mason McKibben- 1B; Caleb Lohr- R, RBI, SB; Carson Feichtner- 2-1B, 3RBI, SB; Brock Ritzhaupt- 1B and Dylan Cooke- 1B, R, SB. The Eagles will host the Wynford Royals on Wednesday before welcoming the Lucas Cubs to town for a non-conference clash on Thursday. On Friday, Crawford will head to Wynford to wrap the season series before returning home for a meeting with the Willard Crimson Flashes on Saturday, April 13. SYCAMORE — Back on Friday, April 5, Crawford traveled to Sycamore to meet up with the hosting Mohawk Warriors. In the marathon matchup that went 11 innings, it would be Mohawk walking it off with one out in the home-half; 1-0. The Eagles managed just four hits on the day, all singles, while leaving six runners on and committing two errors in the field. The Warriors plated one on eight hits, left eight on and committed one error. Burkhart worked 10⅓ innings, giving up seven hits and was charged with the earned run that won the game for the hosting Warriors. In the contest, Burkhart struck out 12 and walked three batters. Hamilton came on in relief and allowed the hit that gave Mohawk the win. Balliet finished with a pair of singles and a stolen base while Hamilton and Trevin Fairchild recorded Crawford’s other two singles. 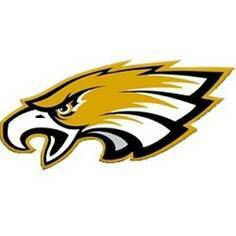 The Lady Eagles will also host Wynford on Wednesday and after taking Thursday off, will be at Wynford on Friday. Crawford will welcome the Willard Lady Flashes to Chuck Huggins Field on Saturday for a non-conference meeting.